Denise Wig HOT PRICE! Denise Wig HOT PRICE! NOTE: COLOR 27HH IS NO LONGER AVAILABLE. PLEASE DO NOT REQUEST THIS COLOR. 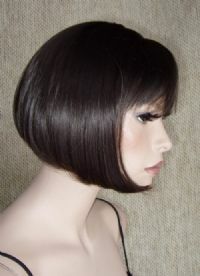 Gorgeous quality wig from the Natural Collection of Wig America. 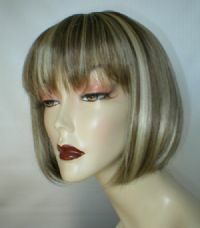 This has a skin part and is a chin length Bob with bangs. Overall is about 11 inches and very silky. Feels like real hair! One of my most popular wigs for many years. I usually have all colors in stock, but if I am sold out I will have more in a few days.